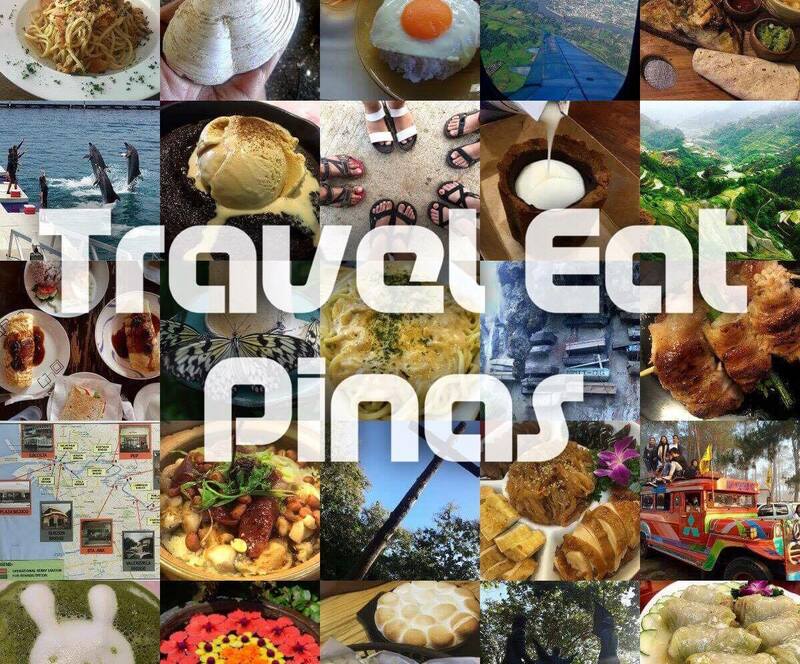 Last October 1st Travel Eat Pinas was invited to cover TGP (The Good People) Brothers' Food Park opening in Novaliches, Quezon City. 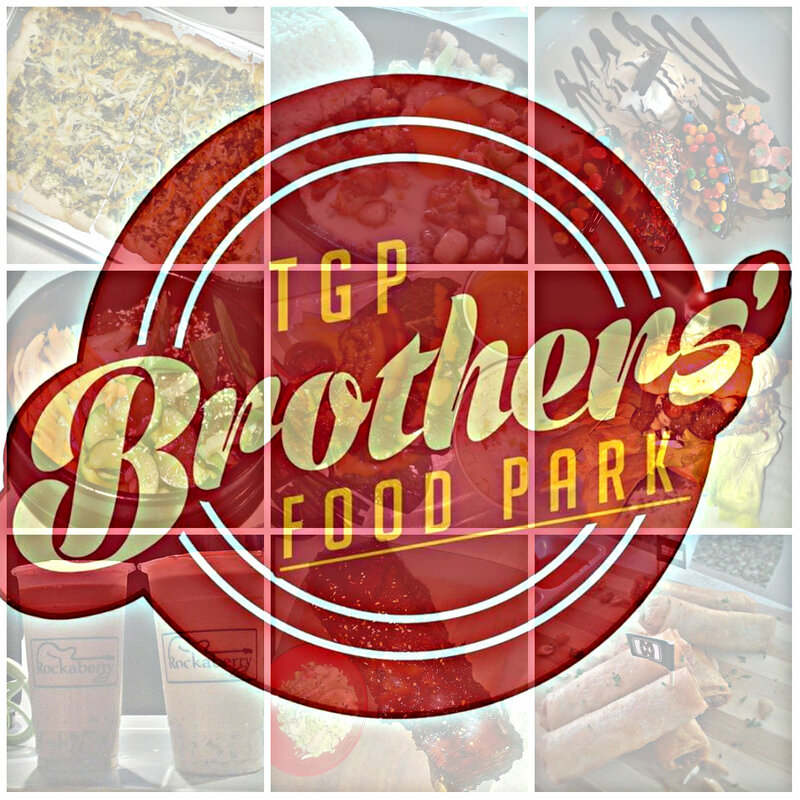 TGP Brothers' Food Park opened their doors to Quezon City food lovers with their 15 food stalls that offers delectable Filipino, Italian, American, Korean and Japanese-inspired dishes with reasonable price. 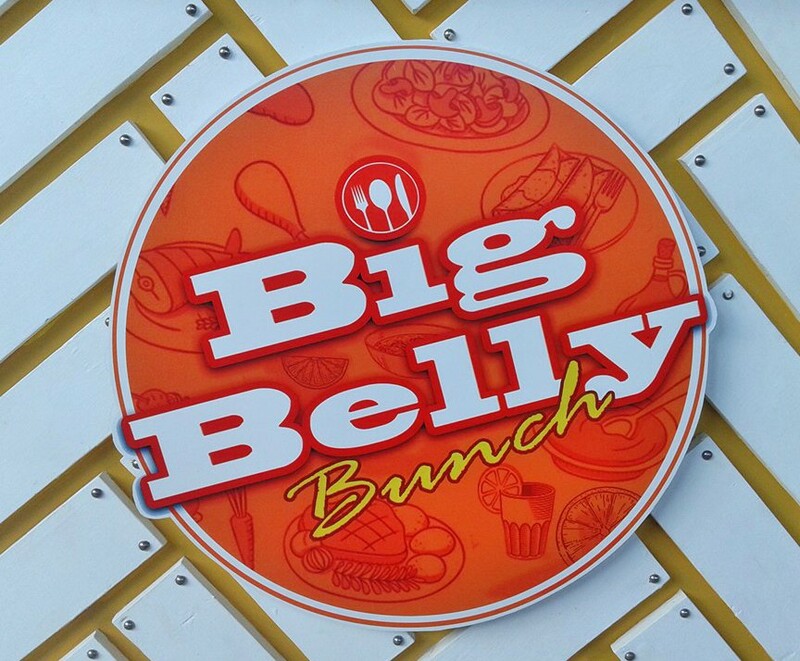 Among this 15 food stalls are Big Belly Bunch, Shakes N' Co, Avery's, Gavin's, Grilled Chilled, Captain Cook, Master Wrapper, Chuckatoo's Steak Shack, Katsu MoTo, Bits and Pieces Waffle House, Cindy Yaki Ribs, Pop Dog, Master Shomai, Rockaberry and Pita Pan. Offers Filipino dishes from Adobo, Kare-Kare, Sinigang, Tinola and Sinampalukan. They also serve "pulutan" or food that you can munch while drinking a bottle of beer like cheese stick, spam fries, cheesy corn and tokwa't baboy and dishes that can make you sober after enjoying the latter. Big Belly Bunch's Crispy Kare-Kare is true to its name with it's crispy and juicy pork meat and crunchy string beans and tender eggplant. It has sweet peanut Kare-Kare sauce that you can pour on the meat and vegetable for the total Kare-Kare experience. Unlike other Kare-Kare, where you need to mix or put "bagoong" or shrimp paste on the latter to achieve the full Kare-Kare taste, Big Belly Bunch's Crispy Kare-Kare sauce, meat, and vegetable can provide your palate the whole Filipino Kare-Kare experience. 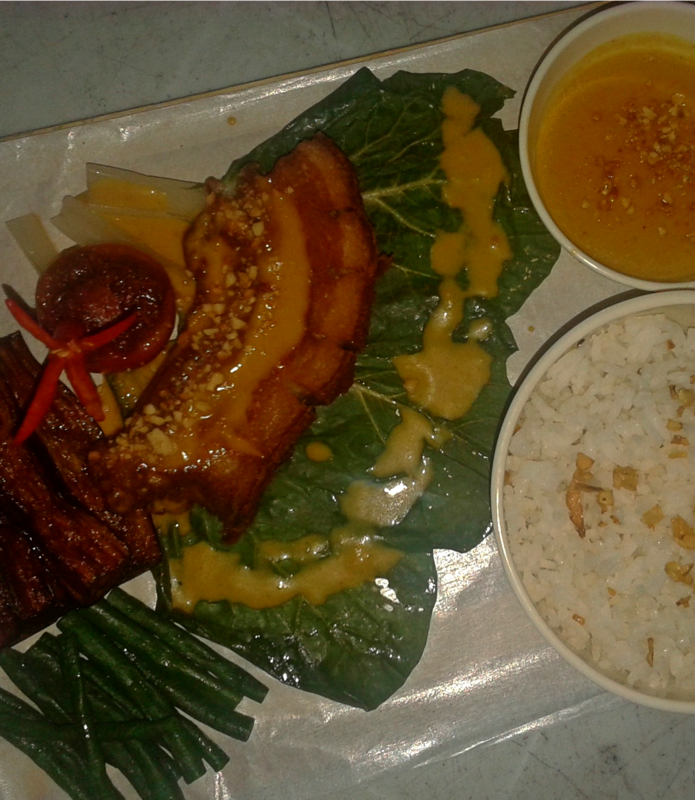 Big Belly Bunch Crispy Kare-Kare will cost you PhP 180 or USD 3.73. 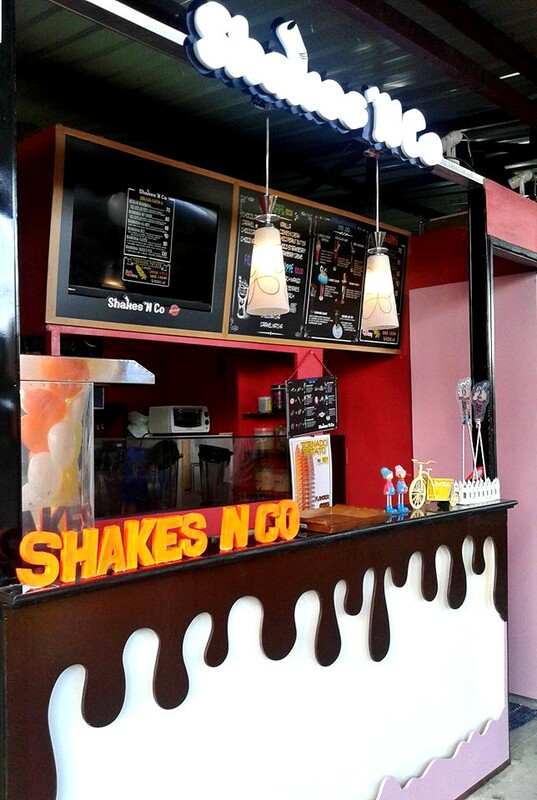 Shake 'N Co offers variants of Freakshakes made from the combination of pastries, chocolates and anything sweet! Aside from the Freakshakes, they also have fruit flavored frappes, Matcha Frappes and Shawarma. Shake 'N Co's Oreo Madness Freakshake has a milky blend of cookies and cream that is surprisingly not so sweet but not bland. The mouth of the glass is covered with whip cream and crushed cookies that serves as a dip for the vanilla sticks and cupcake on top of the shake. 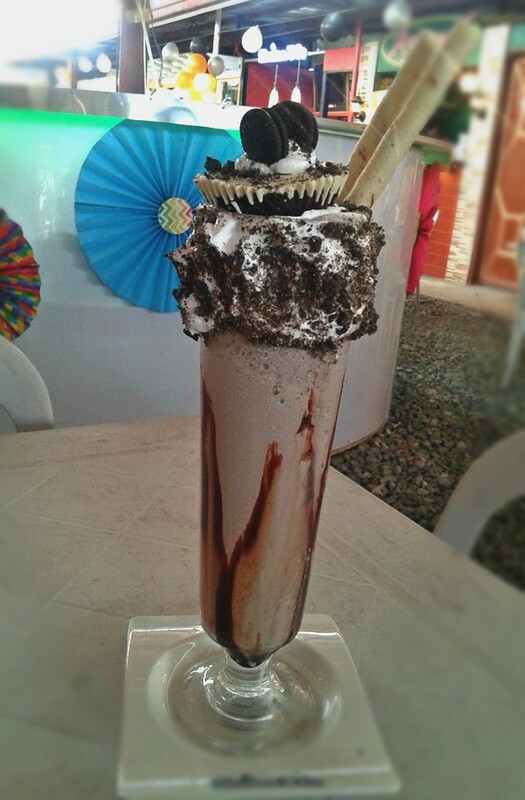 Oreo Madness is at PhP 170 or USD 3.52. Avery's provides food park goers the taste of Italian dishes. 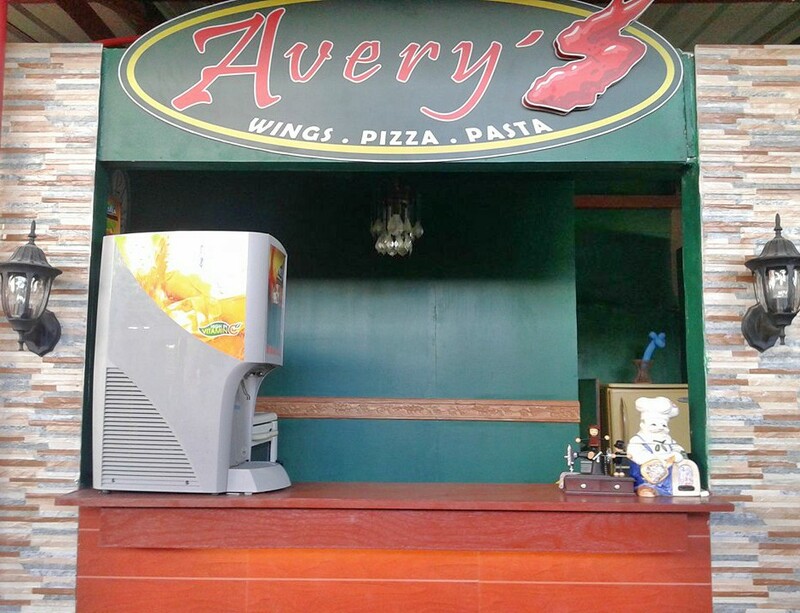 Avery's Spicy Chicken Wings has tender, juicy and well-seasoned chicken wings coated with their special spicy sauce and when I say it is spicy, it is spicy! 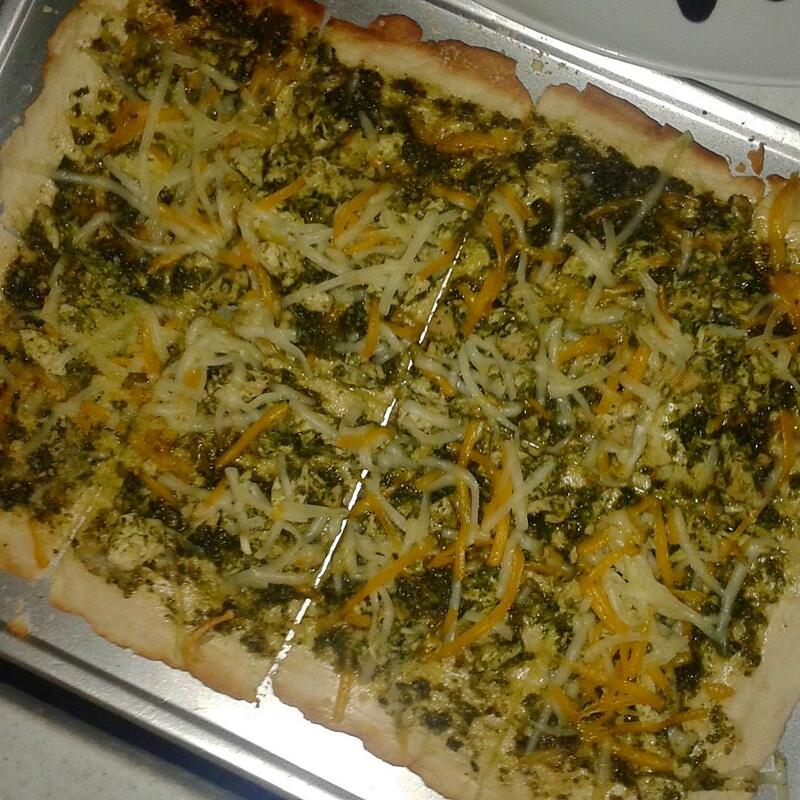 Pizza Pesto is a homemade rectangular shaped pizza with thin and crunchy crust topped with bits of tender and juicy chicken, pesto and cheese. 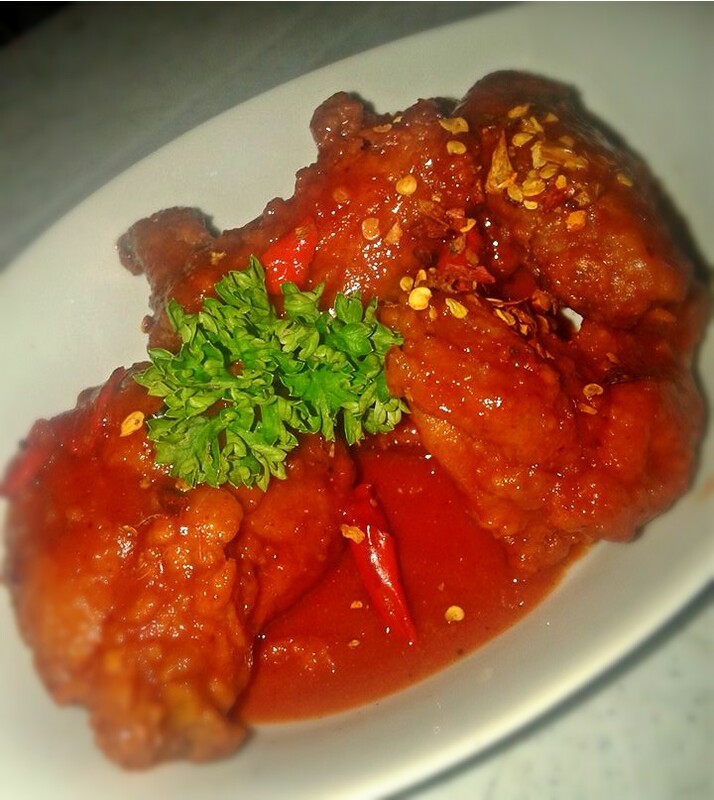 Six pieces of Spicy Chicken Wings will cost you PhP 135 or USD 2.80 and Pizza Pesto is at PhP 169 or USD 3.50. Gavin's specialties are sizzling dishes, beers, and cocktails. 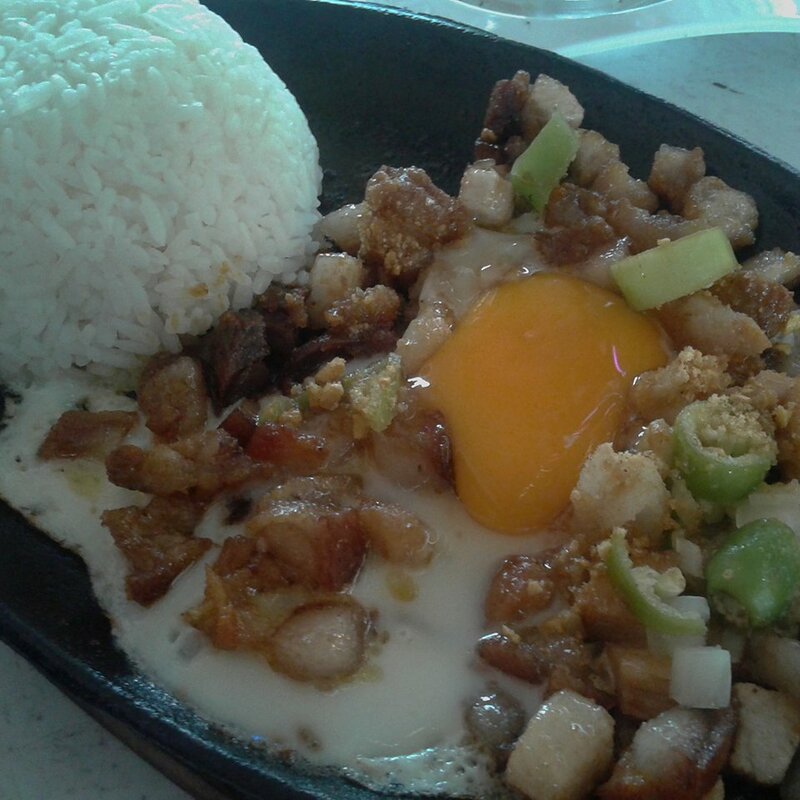 Lechon Sisig has well-seasoned, tender and crunchy lechon bits topped with egg and rice and serve on a sizzling plate while Shawarma Sisig has bits of meat that tastes and seasoned like shawarma and serve with rice on a sizzling plate. Lechon Sisig will cost you PhP 130 or USD 2.69 while Shawarma Sisig is PhP 140 or USD 2.90. 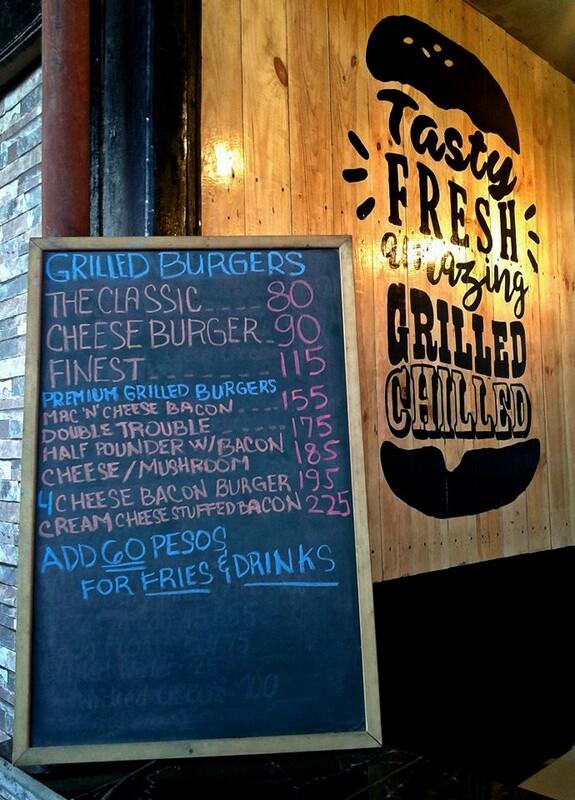 Grilled Chilled offers premium and classic grilled burgers. Cream Cheese Stuffed Burger has a combination of bacon and beef patty topped with 3 bacon and stuffed with cream cheese. 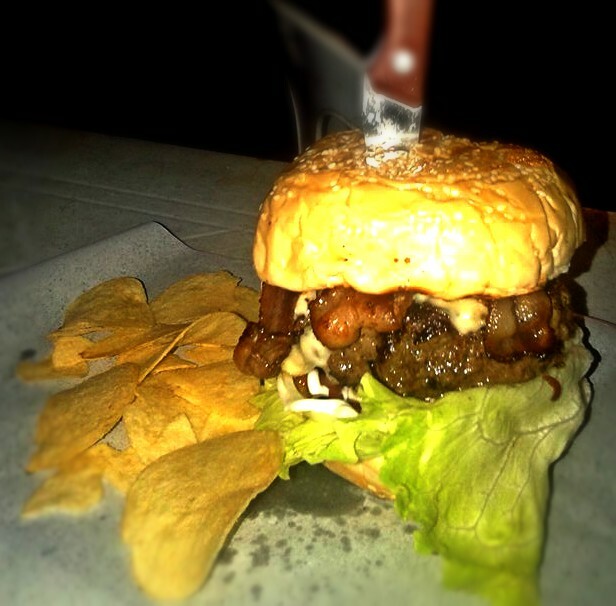 Cream Cheese Stuffed Burger will cost you PhP 225 or USD 4.66. 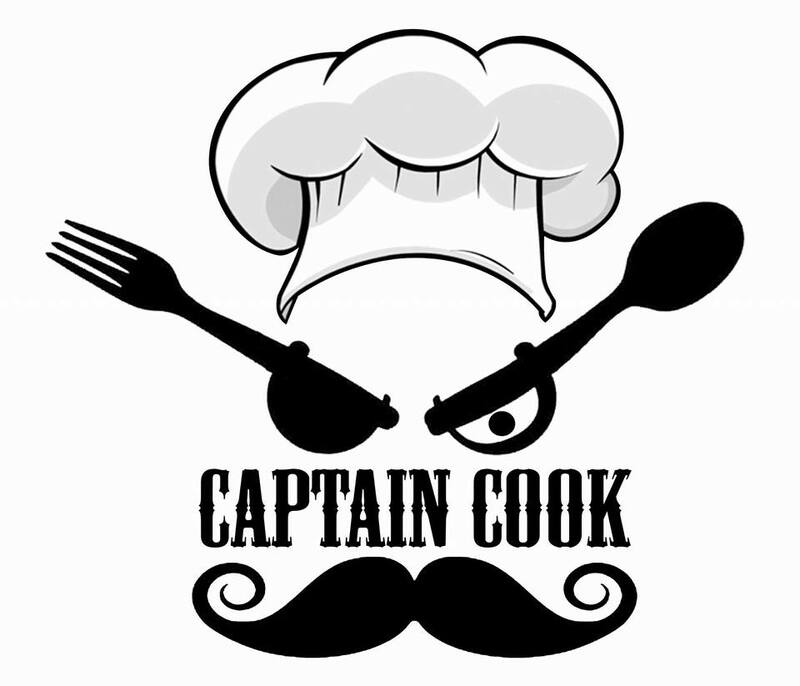 If you crave for Korean-inspired food, Captain Cook will satisfy your cravings with their authentic Korean dishes like Bulgogi, Beef Lettuce Wrap, and Bibimbap. Captain Cook's Beef Bulgogi has chunks of tender beef and crunchy vegetables seasoned and cooked like authentic Korean Bulgogi. 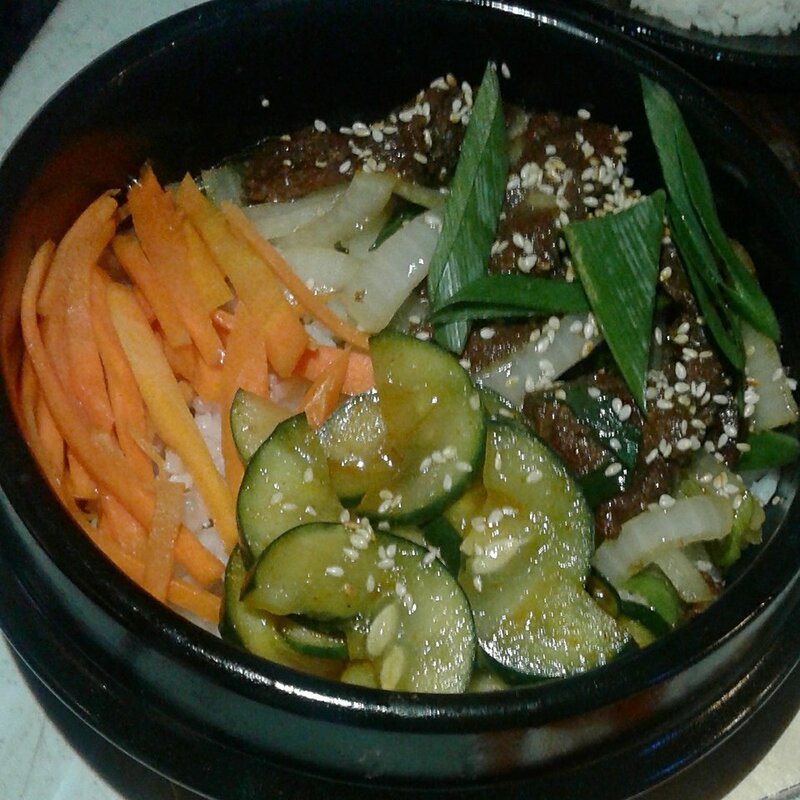 Beef Bulgogi costs PhP 120 or USD 2.48. 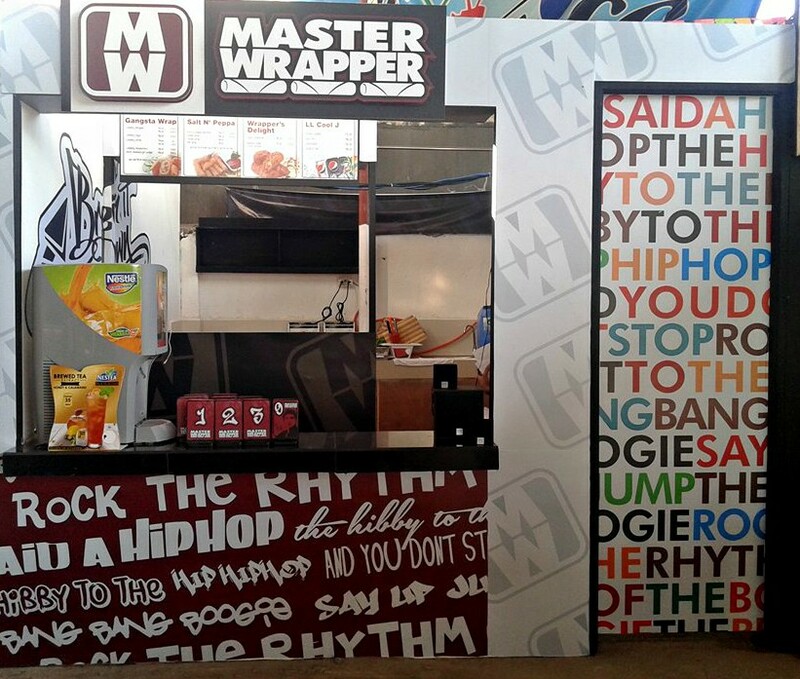 Master Wrapper offers dishes that are wrapped, from Lumpiang Shanghai to Chili Bacon wrap and classic Lumpia. 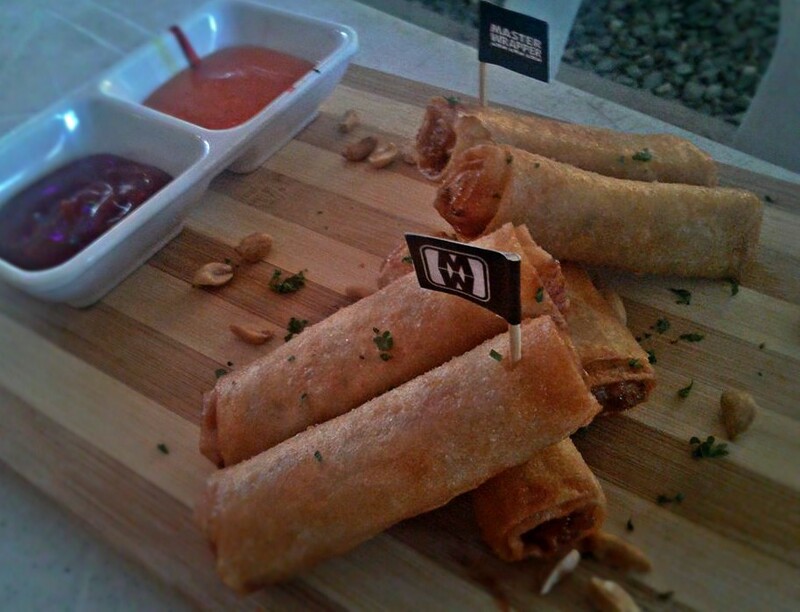 Master Wrapper's Lumpiang Shanghai has perfectly seasoned pork with carrots, wrapped by thin and crunchy lumpia wrapper and served with two dips. 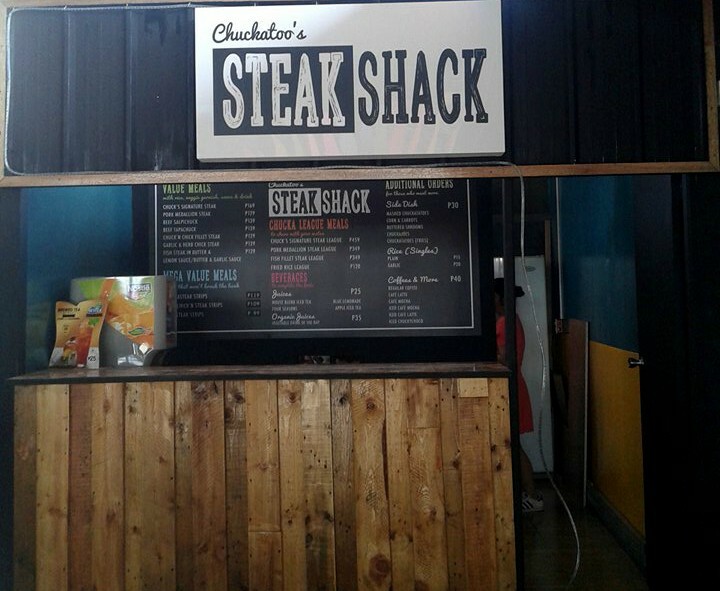 Chokatoo's Steak Shack offers beef and steak meals. 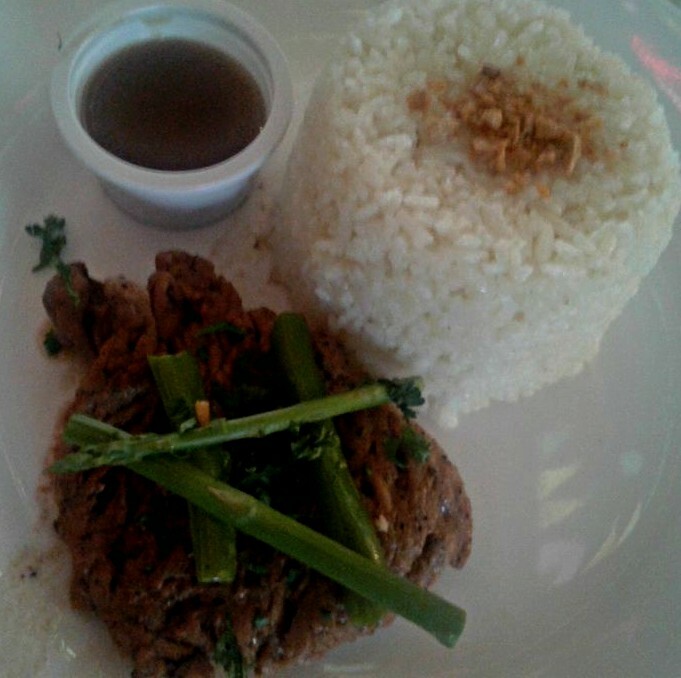 Chuck's Signature Steak has juicy, fork-tender rib eye steak that tastes like herbs, topped with vegetables and serve with rice and gravy. Chuck's Signature Steak costs PhP 169 or USD 3.50. 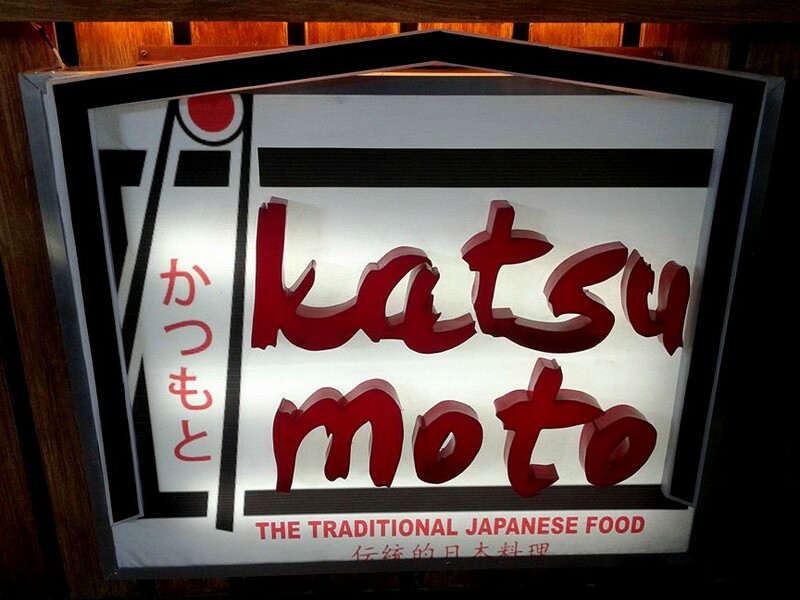 Katsu Mo To provide food park goers the taste of authentic Japanese dishes from Katsu to Ramen. Katsu Mo To's Katsu Ramen is a combination of Pork Katsu and Ramen. The Pork Katsu has a crunchy and tender pork cutlets, al dente pasta, and vegetables with broth that tastes like egg and vegetables. 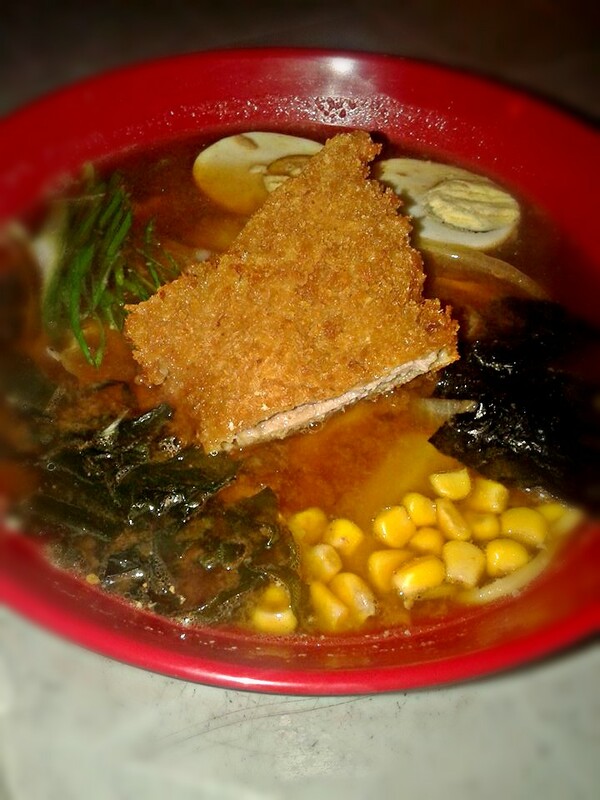 Katsu Ramen costs PhP 120 or USD 2.47 for Junior and PhP 230 or USD 4.73 for Regular. If you love waffle and can eat anything with it, you should drop by Bits and Pieces Waffle House. They have all sorts of dishes with waffle. 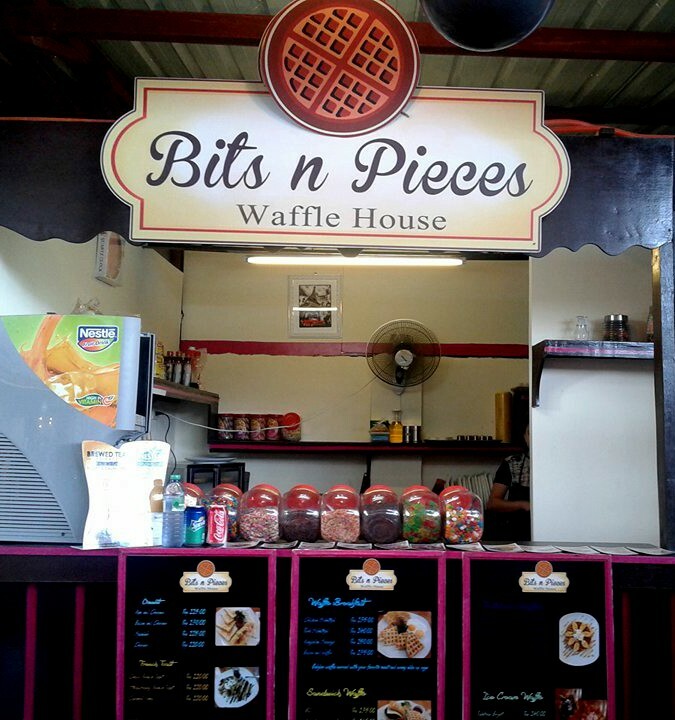 They have dishes for breakfast, waffle sandwich, waffle with fruits and waffle with ice cream. 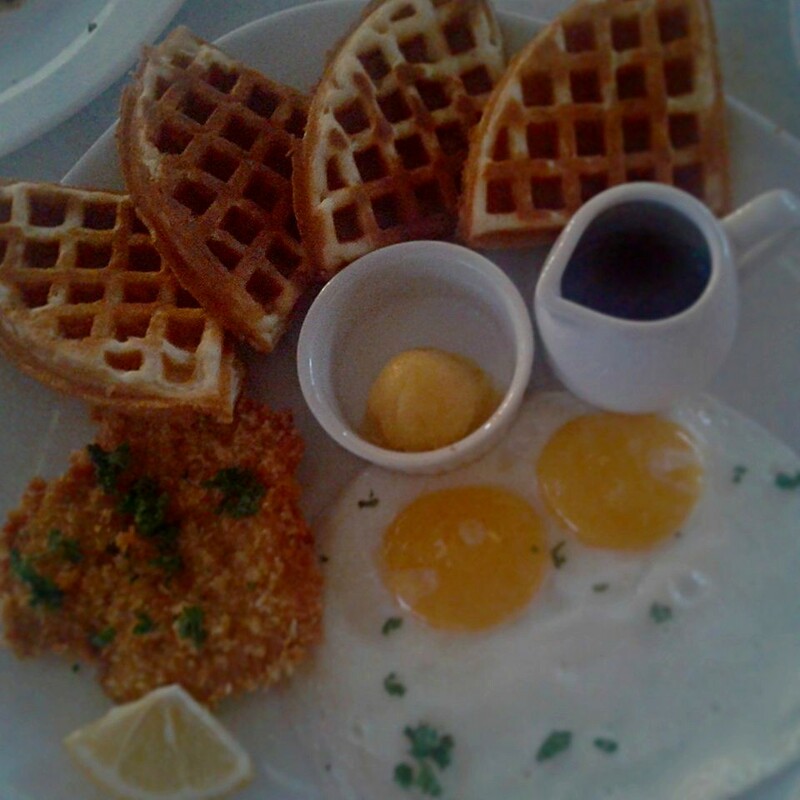 Both Pork Schnitzel and BNP Cravings has a crunchy on the outside and fluffy on the inside waffle. 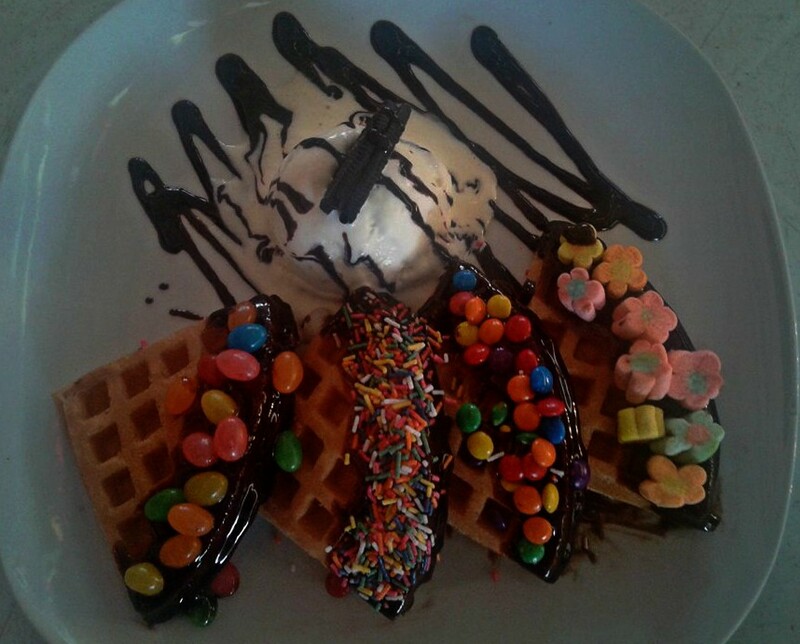 Pork Schnitzel is served with well seasoned breaded pork cutlets, egg, honey, and melted margarine while BNP Cravings are waffles with chocolate syrup topped with jelly beans, marshmallow, nips and rainbow sprinkles with ice cream, drizzled chocolate syrup. Cindy Yakimi Ribs specialty is ribs, chicken, and rice meals. 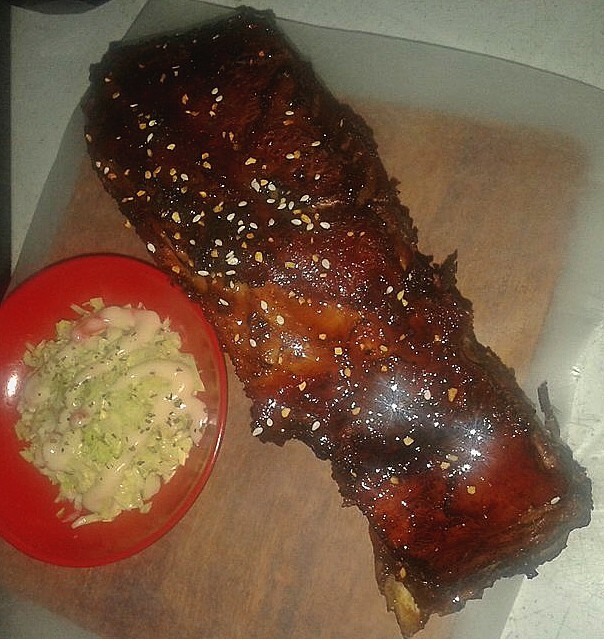 Specialty Ribs is served with a three rib cuts that is seasoned, marinated and coated with Cindy Yakimi Ribs special barbecue sauce, and coleslaw. 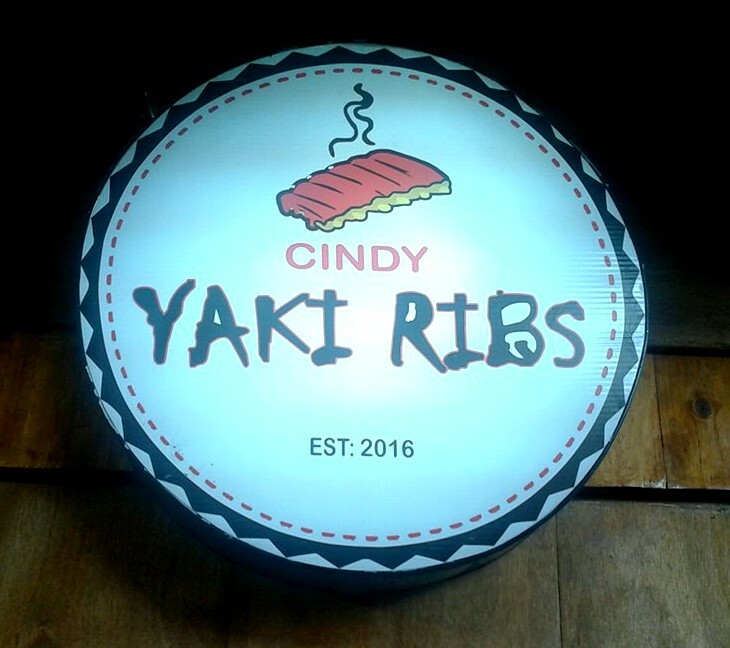 Cindy Yakimi Specialty Ribs costs PhP 250 or USD 5.17. Pop dog from the name itself provides hotdog, on a stick and in a bun, and popcorn with barbecue, cheese, and sour cream flavor. 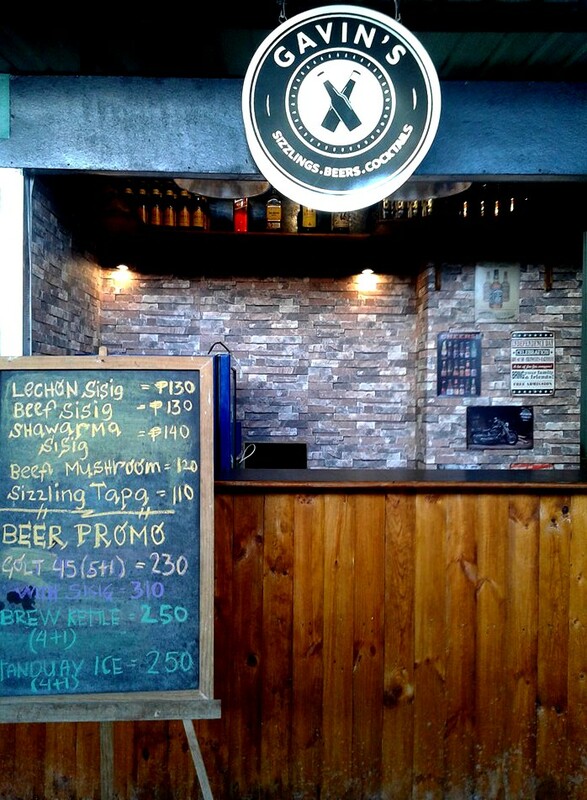 Rockaberry quenches food park goers thirst and hunger with their milk tea, pares, and finger foods. Okinawa milk tea is not that sweet but not bland, has the right combination of milk and leafy taste of tea and is refreshing. Okinawa Milk Tea costs PhP 70 or USD 1.45 for Large and PhP 80 or USD 1.65 for Extra Large. Pita Pan's specialty are kebab dishes and Arabian fries. Wow, I can't say anything but I'm hungry seeing these foods.